^ Kinon, Cristina. HBO's 'Boardwalk Empire' uses New York as a stand-in for Atlantic City, Chicago and Los Angeles. New York Daily News. 2010-09-08 [2010-10-21]. ^ Littleton, Cynthia. HBO lays a big-bucks bet on 'Boardwalk'. Variety. 2010-08-07 [2012-01-04]. ^ Andreeva, Nellie. HBO orders Boardwalk Empire. The Hollywood Reporter. 2009-09-01 [2011-04-21]. ^ Sciretta, Peter. HBO Announces Premiere Date for Boardwalk Empire. /Film. 2010-07-09 [2010-07-12]. ^ Hibberd, James. 'Boardwalk Empire' to end this year with final season. Entertainment Weekly. 2014-01-09 [2014-01-09]. ^ Wiser, Paige. HBO hits jackpot with mob series 'Boardwalk Empire'. Chicago Sun-Times. 2010-09-17 [2010-09-27]. （原始内容存档于2010-09-21）. ^ Stanley, Alessandra. Boardwalk Empire. The New York Times. 2010-09-15 [2013-09-02]. ^ 9.0 9.1 9.2 9.3 9.4 9.5 9.6 Boardwalk Empire (2010-2014). History vs. Hollywood （英语）. ^ Dustin Rowles. How Similar Is Nucky Thompson From ‘Boardwalk Empire’ To The Real-Life Nucky Johnson?. uproxx. 2013-09-06 （英语）. ^ Alan Sepinwall. Interview: 'Boardwalk Empire' creator Terence Winter. Hitfix. September 9, 2010 （英语）. ^ Johnson, Nelson. Boardwalk Empire: The Birth, High Times, and Corruption of Atlantic City. Plexus Publishing, Inc. 2010. ISBN 978-0-9666748-6-6. ^ Tony Sokol. Boardwalk Empire Season 5: The Real Mickey Duffy aka Mickey Doyle. Den of Geek. 2014-10-19 （英语）. ^ Lambert, David. Boardwalk Empire – HBO's Announcement Confirms DVD and Blu-ray Date, Reveals Extras and Boxes. TV Shows on DVD. 2011-10-08 [2011-10-09]. （原始内容存档于2011-10-10）. ^ BOARDWALK EMPIRE: COMPLETE FIRST SEASON (5DVD). HMV Hong Kong. [2014-03-11]. ^ 海濱帝國第一季 得利影視娛樂網. 得利影視. [2014-03-11]. （原始内容存档于2014-03-12）. ^ Lambert, David. Boardwalk Empire – The Complete 2nd Season on DVD and Blu-ray/DVD Combo. TV Shows on DVD. June 7, 2012 [June 7, 2012]. （原始内容存档于2012年6月9日）. ^ BOARDWALK EMPIRE: COMPLETE SECOND SEASON (5DVD). HMV Hong Kong. [2014-03-11]. ^ 海濱帝國第二季 得利影視娛樂網. 得利影視. [2014-03-11]. （原始内容存档于2014-03-12）. ^ Lambert, David. Boardwalk Empire - Blu-ray Disc and DVD Sets Announced by HBO for The Complete 3rd Season. TV Shows on DVD. May 10, 2013 [May 11, 2013]. （原始内容存档于2013年6月7日）. ^ BOARDWALK EMPIRE: COMPLETE THIRD SEASON (5DVD). HMV Hong Kong. [2014-03-11]. ^ Sepinwall, Alan. HBO announces fifth season of 'Boardwalk Empire' will be its last. HitFix. January 9, 2014 [January 11, 2014]. ^ Terence Winter Set to Write Martin Scorcese's Boardwalk Empire. MovieWeb （英语）. ^ SCORSESE INTRODUCES BOARDWALK EMPIRE. IGN. 2010-08-07 （英语）. 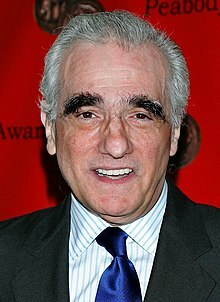 ^ Scorsese May Direct First TV Show Since AMAZING STORIES!!. Ain't It Cool News. 2008-08-08 （英语）. ^ 26.0 26.1 Brian Lowry. Review: 'Boardwalk Empire'. Variety. 2010-09-12 （英语）. ^ Lynda Johnson. Boardwalk Empire Pilot, $18 Million 'Bigs Buck Bet' for HBO. The National Ledger. 2010-08-08 （英语）. ^ HBO's 'Boardwalk Empire' Cost $50 Million: How They Gonna Make It Back?. BlackBook. 2010-01-15 （英语）. ^ 29.0 29.1 Alan Sepinwall. Press tour: HBO's 'Boardwalk Empire' brings Martin Scorsese to television. UPROXX. 2010-08-07 （英语）. ^ Matt Mitovich. Pilot News: Michael Pitt Walks Boardwalk for HBO and Scorsese. TVGuide.com. 2009-01-02 （英语）. ^ HITFIX. New Oscar nominee joins Scorsese's HBO pilot. UPROXX. 2009-01-29 （英语）. ^ Marisa Guthrie. HBO Not 'Hung' Up on Decision-Making. Broadcasting & Cable. 2009-06-08 （英语）. ^ Charles McGrath. On the Boardwalk, HBO Hangs Out With a New Mob. The New York Times. 2010-09-03 （英语）. ^ 34.0 34.1 34.2 Michael Lipkin. DUMBO biz, Scorsese team up for HBO project 'Boardwalk Empire'. New York Daily News. 2009-08-04 （英语）. ^ Virginia N. Sherry. Historic Richmond Town serving as set for 'Boardwalk Empire'. SILive.com. 2012-04-04 （英语）. ^ John Dunn. The Bespoke Gangster Style of HBO's Boardwalk Empire. Esquire. 2010-09-15 （英语）. ^ Christina Radish. Martin Scorsese and Terence Winter Interview BOARDWALK EMPIRE. Collider.com. 2010-09-14 （英语）. ^ Boardwalk Empire (Volume 1 Music From The Hbo® Original Series) Soundtrack MP3 Music. CD Universe （英语）. ^ 2011 - 54th Annual GRAMMY Awards. Grammy.com. The Recording Academy （英语）. ^ 40.0 40.1 Teressa Iezzi. NYC's MTA Takes The 2/3 Train To Yesteryear For HBO's "Boardwalk Empire" Campaign. Fast Company. 2011-09-02 （英语）. ^ AFI Awards Selections Announced: 'The Walking Dead,' 'Breaking Bad,' 'Glee,' '30 Rock' and 'Boardwalk Empire' Among TV Winners. TV by the Numbers. 2010-12-12 （英语）. ^ Vlada Gelman. AFI's Top 10 of '11: Homeland, Game of Thrones, Justified and Louie Among First-Time Honorees. TVLine. 2011-12-11 （英语）. ^ Boardwalk Empire: Season 1. Metacritic. ^ Boardwalk Empire: Season 2. Metacritic. ^ Boardwalk Empire: Season 3. Metacritic. ^ Boardwalk Empire: Season 4. Metacritic. ^ Boardwalk Empire: Season 5. Metacritic. ^ Boardwalk Empire: Season 4 (2013). Rotten Tomatoes. ^ Boardwalk Empire: Season 5 (2014). Rotten Tomatoes. ^ James Hibberd. Emmy nominations 2011. Entertainment Weekly. 2011-07-14 （英语）.